Every driver loves to save money on repairs and maintenance. 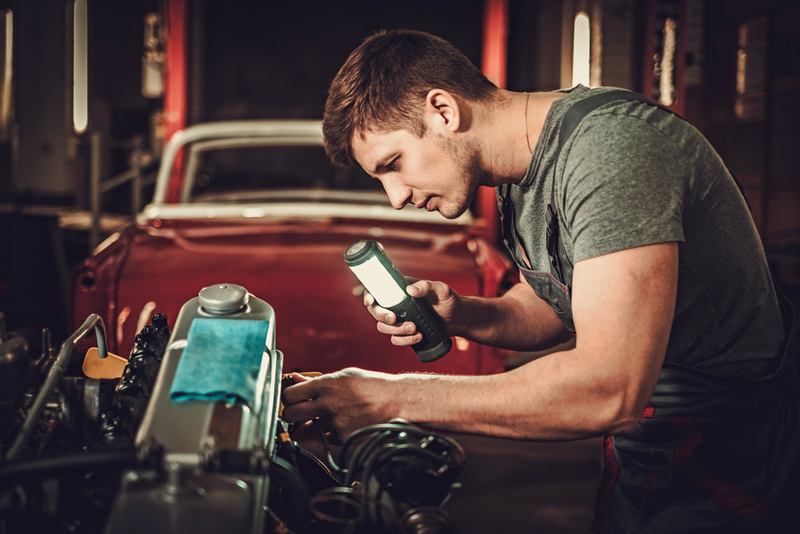 After all, auto repairs are the most expensive factor to owning a vehicle, but sometimes these repairs can be done yourself rather than sinking money at your local repair shop. And other times you might want that new version of your car just for the slight upgrade it has in terms of peripherals. There’s a “keeping up with the Jones’” mentality that many of us auto enthusiasts have that we just can’t help. In this article we’ve curated some neat gadgets and tools that will not only be useful for the modern driver but they will keep you a MODERN driver. If your car’s a/c feels hotter than what you assume a dragon’s breath (or the breath of the rude person next to you at the DMV) would feel like, this device will fix it. Hook the A/C Pro refrigerant can up to the vehicle’s low-side charge port. Then, with the engine running and the a/c set to max, the pressure gauge on the bottle will spike into the red. That could mean either that your system is full of refrigerant or has none at all, depending on whether the compressor clutch is engaged, which is the main customer complaint on this device but don’t worry. Keep pumping intermittently and watch as the compressor begins to engage. When all is said and done your car will be blowing ice-cold air once more. So chill out, the iceman cometh! If you carry this little brick in your car you may never need jumper cables ever again. The JS12 is Weego’s midsize power pack, housing a lithium-ion battery that’s only a little bigger than those useless scraps of baguette they give you with your lunch at Panera. Weego says the JS12 will start gas engines up to 6.4 liters, or diesels up to 3.2 liters. Since the Bronco is 7.3 liters of rolling compression- ignition thunder, Seconds after connecting the Weego’s stubby jumper cables to a dead battery it will fire right up. The pack also has cables to charge laptops and phones, and also has a built-in flashlight. This device claims it has 2,000 pounds of straight pulling power which means you can pull a car weighing up to 6,000 pounds. The world is your stump (or whatever you use to anchor the tow cable). Sooner or later every driver falls into a situation that may need a winch, be it a minor traffic collision or you are riding through an off-road adventure. Simply attach it to your car’s trailer hitch pug in the power supply via the cigarette lighter and you are ready to winch. It does not have the power of professional tow trucks but it will definitely a low cost solution to get you by for those occasional emergencies or projects. You can retrofit this backup camera to nearly any vehicle. It maybe odd for a company so associated with antifreeze to make backup cameras and yet here we are. Al sarcasm aside, it’s 3.5-inch wireless backup camera is a pretty solid effort. The “wireless” part is a minor misnomer—the video monitor doesn’t need a signal cable, but you’ve still got to hardwire the camera into your car’s reverse lights. That means getting behind the taillights, stripping insulation (or using the supplied wire taps), and routing the wires from the license-plate bracket into the car, which might require drilling a hole. While the process wasn’t quite plug-and-play, the camera works great. Don’t laugh, because while your car comes with maintenance instructions, but it doesn’t come with the instructions on how to fix what’s broken. This is where the repair manual comes in handy. They can often be found at your local auto parts store or, nowadays, on the internet. They give you step by step instructions on how to perform repairs from replacing a wheel bearing to rebuilding your gearbox. Having a car in tip-top shape means that it goes faster and there are no worries about breaking something when pushing. There are plenty of ways to keep your car driving like new and operating like new that go beyond upgrading your navigation system or including a Bluetooth or internet-ready capability. And while the tools above lean towards the more pragmatic side than “entertaining” they will definitely help keep your car on the road, which should be what matters to drivers most.